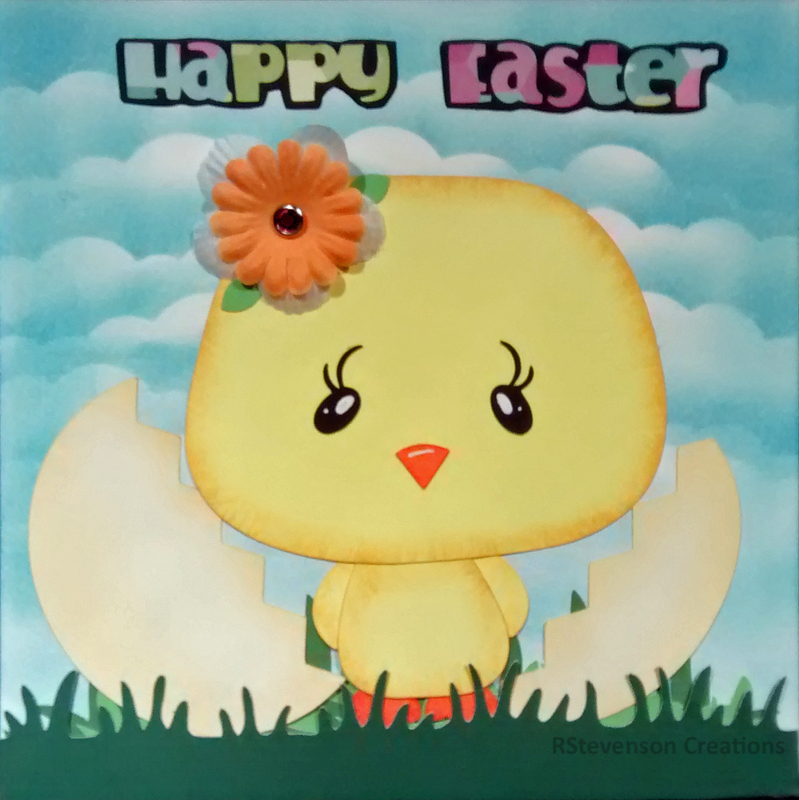 Back again to share the Easter card that I had made for my husband from me and our cat “Boo”. He loved it!!! 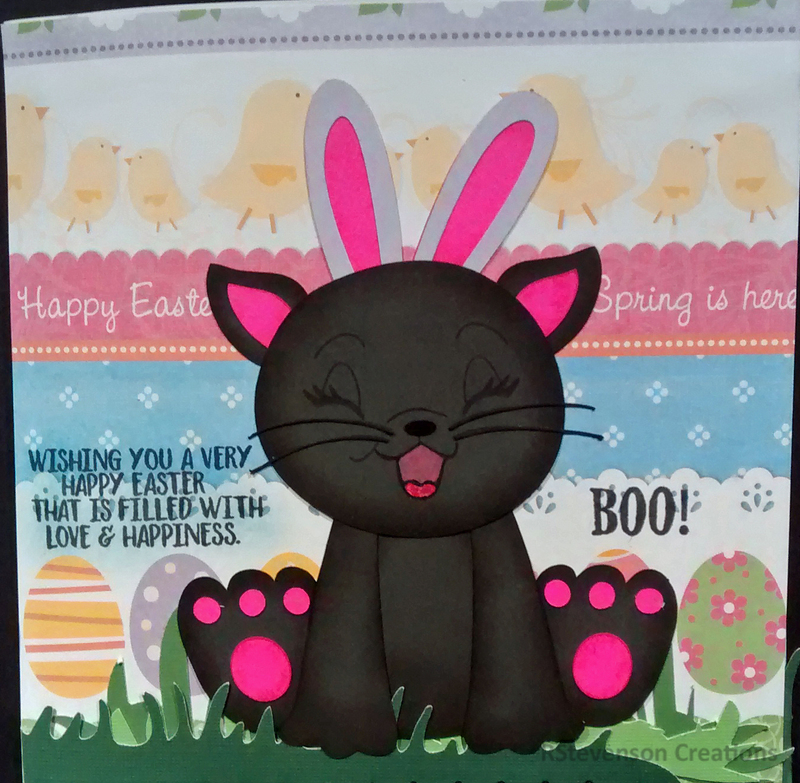 I made the card using Too Cute by Jessica Hallowe’en Cats by Jessica Weible Illustrations, LLC. 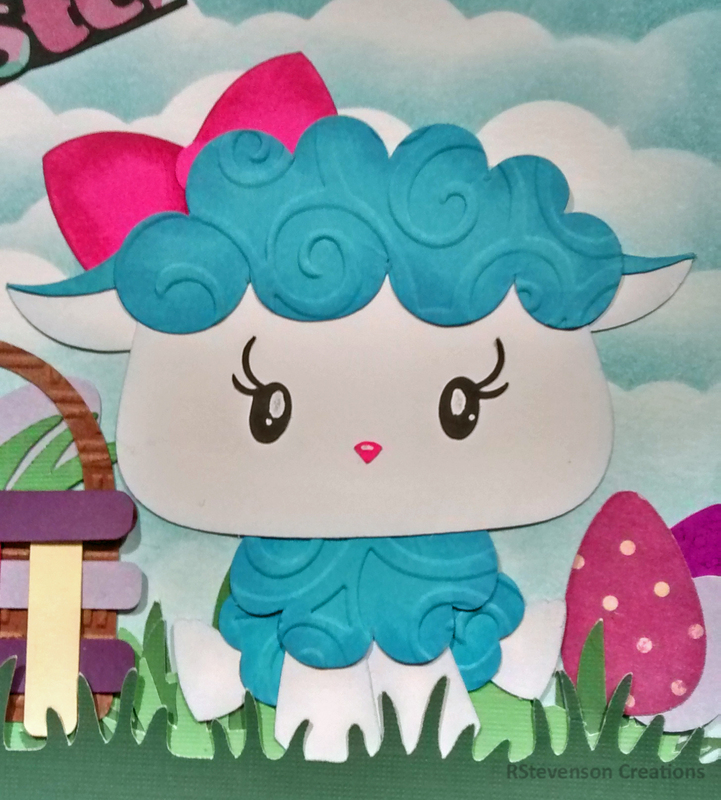 and DoodleBug Ballerina by Faery Ink. The faces on the cat was stamped with Memento – Tuxedo Black ink using Peachy Keen Stamps PK-110 Here Kitty Kitty Face Assortment. The ballerina was coloured in with Spectrum Noir markers. Used Gelly Roll Sakura #8 Pen for the whites on the eyes. 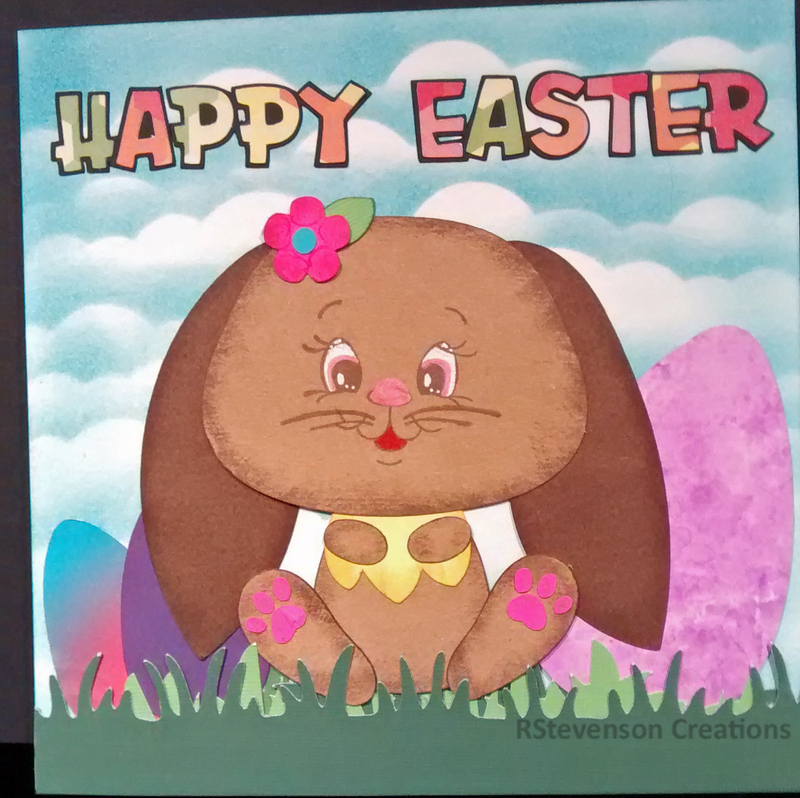 Background paper is from Recollections Easter Printed Stock and also Cardstock Paper – All Seasons 6 x 6″ (15.2 x 15.2 cm). Used My Creative Time -Stitched Squares Inside and Out to cut out the borders. 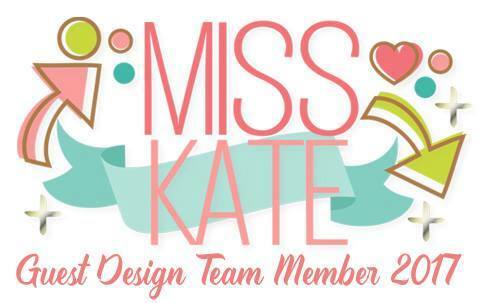 Sassy Studio Designs had a challenge this month to come up with an idea using “Clover”. 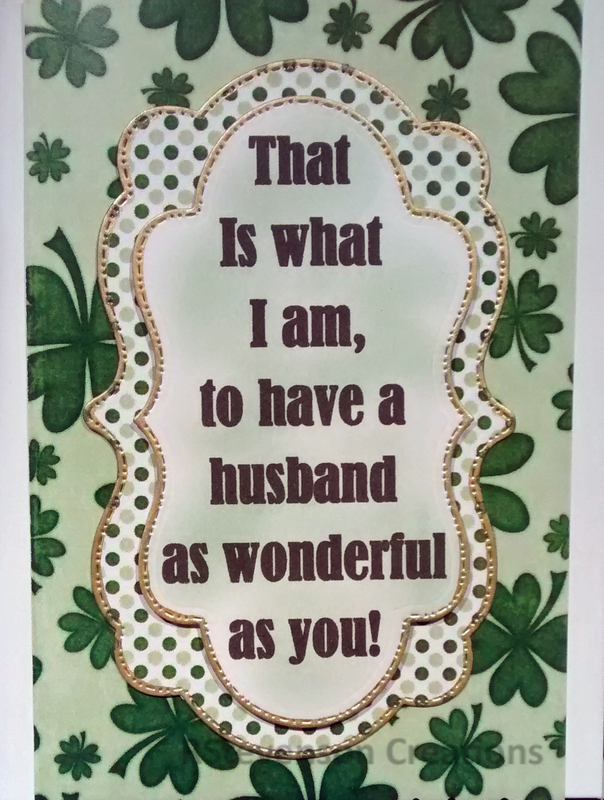 Unfortunately, I was so busy that I missed giving the card to my hubby for St. Patrick’s Day. So I came up with “Plan B”. LOL! 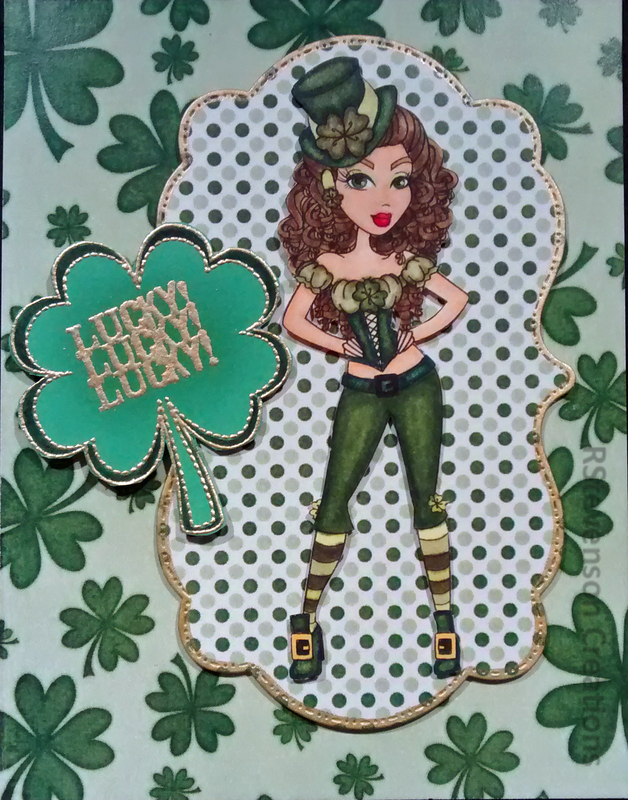 He’s so good to me that when I saw the sentiment and the clover stamp that I had, it all clicked. 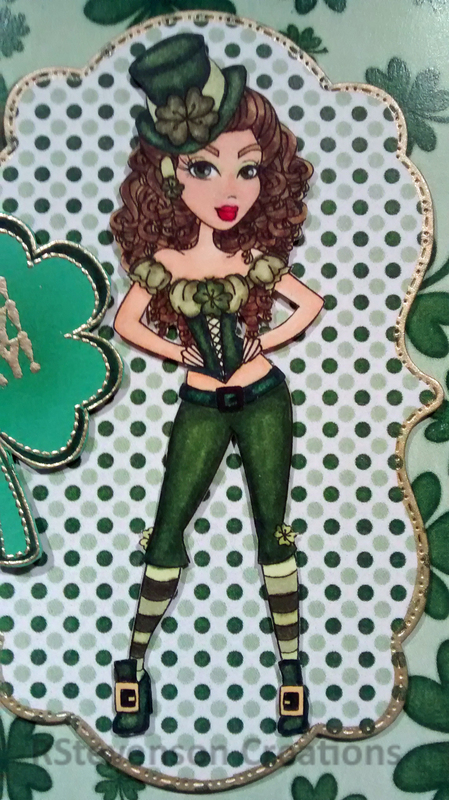 Here is a close-up of “Clover”. Here is what I put on the inside using my computer for the sentiment. Used Typeface – Bernard MT Condensed – 28 pt. Coloured image with Spectrum Noir Alcohol Markers. 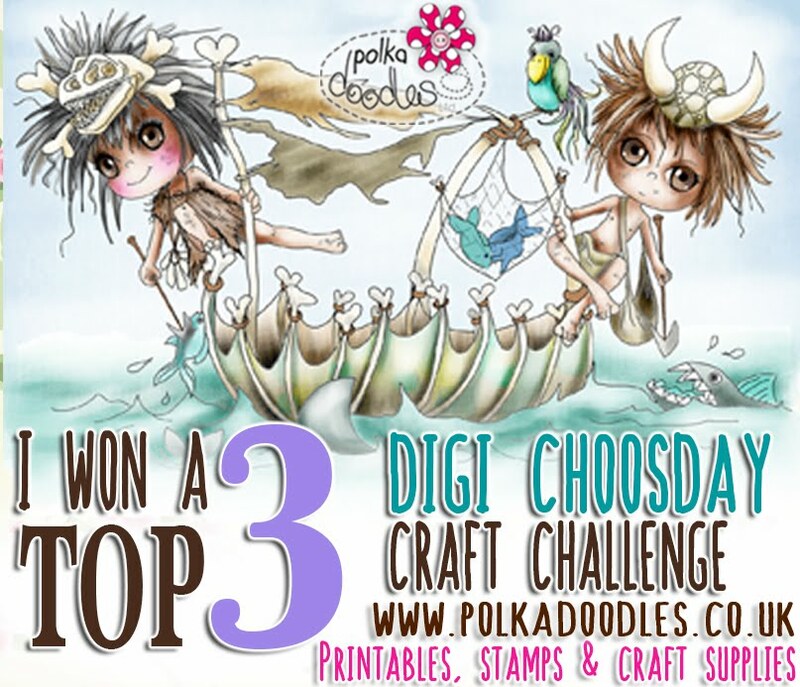 Also entered into Sassy Studio Designs – March Progressive Challenge. 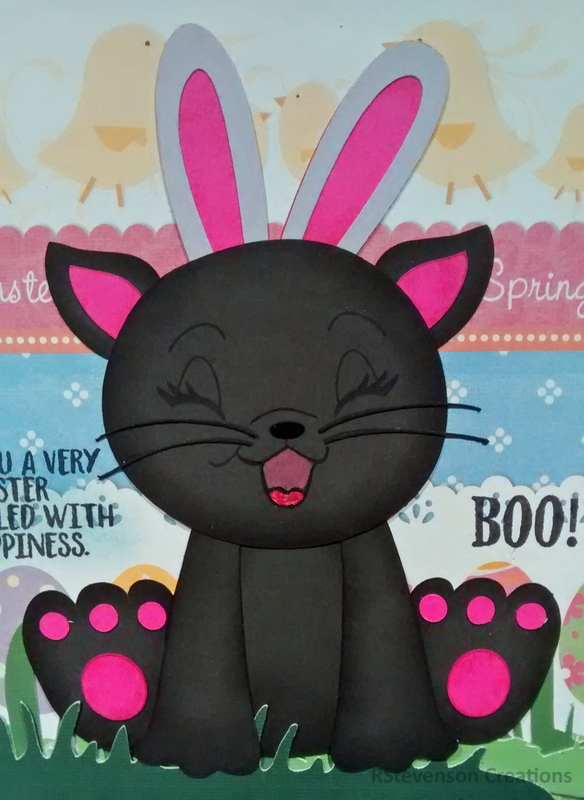 Back to share a card I made for Easter to our vet and his staff from our black cat Boo for this year. 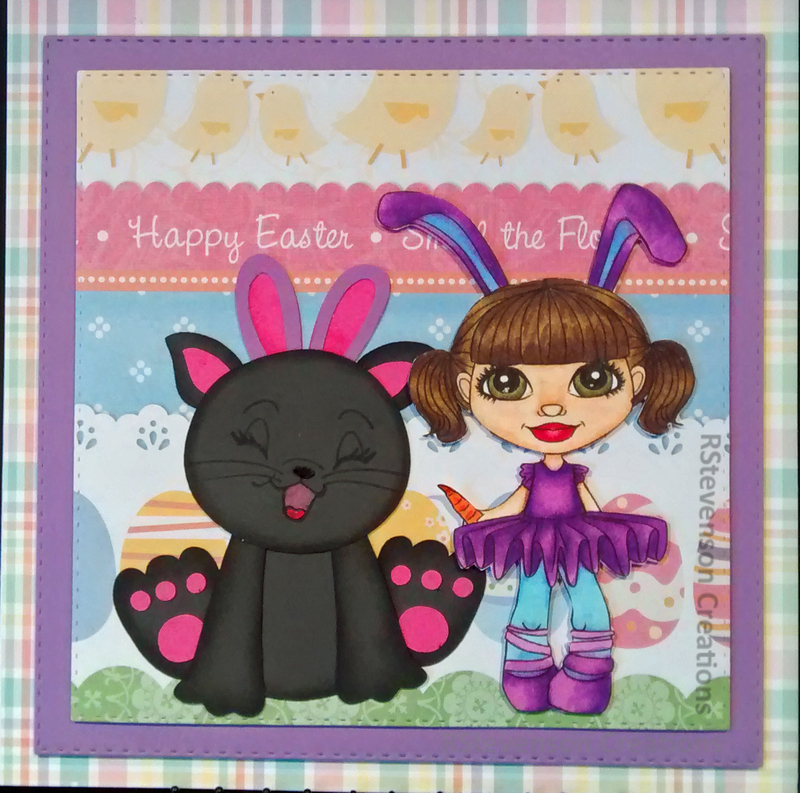 I made the card using 2 files from Too Cute By Jessica – JS Spring Animals by JessicaSawyerDesign and Hallowe’en Cats by Jessica Weible Illustrations, LLC. 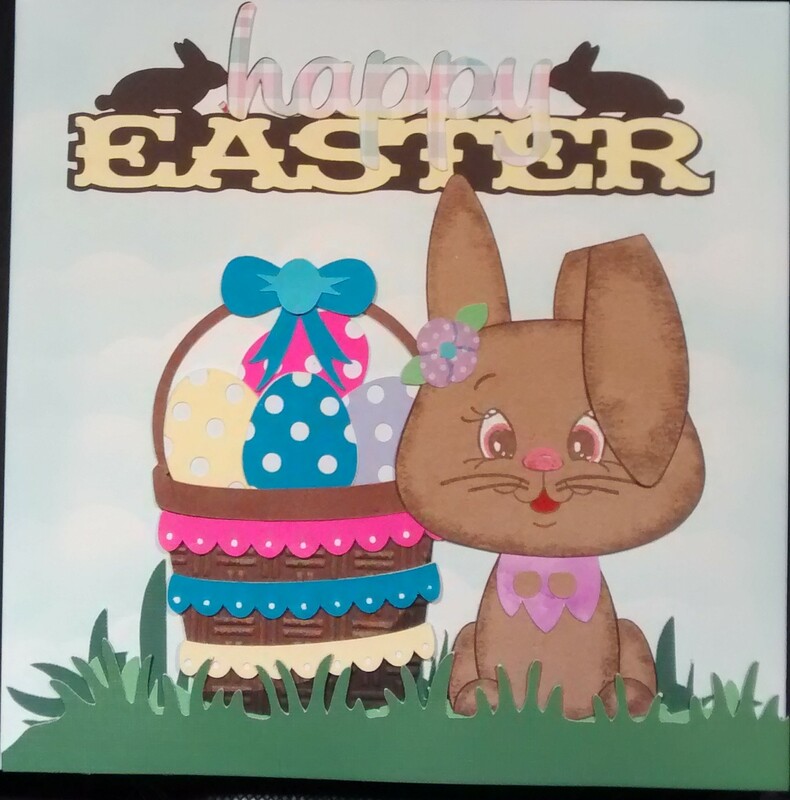 To create this card I uploaded the .svg files into Cricut Design Space and the used Cricut Explore to cut each of the images. 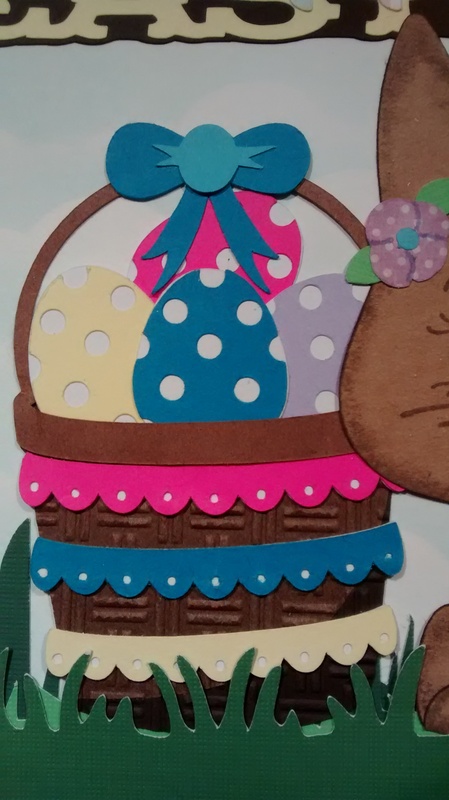 Made the bunny ears by using Cricut Cartridge – Stretch your Imagination – Bunny with Basket – #M46835. Deleted basket and the spliced the ears with a circle. Clouds – Avery Elle – Custom Steel Dies – Made in the USA – D-05-01 PiercedCloudsDie – Cut out clouds using the die and then used that as a stencil for the clouds. 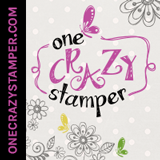 Sentiment on Front – Cricut Cartridge – Zoo Day; Patterned Paper – #Summer Paper Pad by American Crafts 6 x 6″ (15.2 x 15.2 cm) for the colourful lettering. Various ink pads for highlighting characters. Hope you like it and Happy Easter everyone! 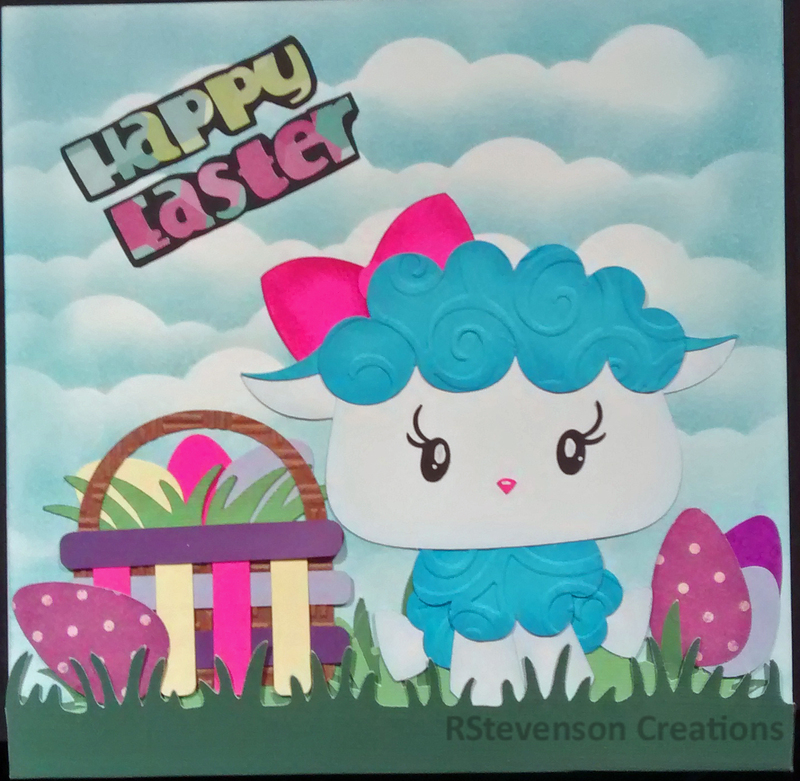 Back to share the first of some new Easter Cards that I made using Too Cute By Jessica – JS Spring Animals by JessicaSawyerDesign. Sentiment – Cricut Cartridge – Ashlyn’s Alphabet Block; Patterned Paper – #Summer Paper Pad by American Crafts 6 x 6″ (15.2 x 15.2 cm) for the colourful lettering. White on eyes and across noses – Sharpie Water Based Paint – White – Extra Fine Point. 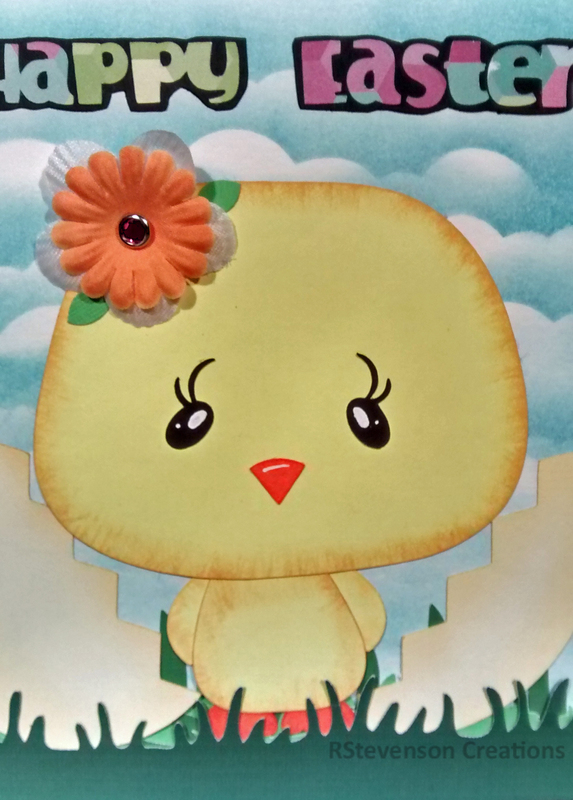 Flower – Crafts – Fabric Flower Embellishment Kit 02-3001702 from Dollarama. Various inks to ink around characters. Hope you like it and Happy Easter everybody! I have clouds in the background, but they aren’t showing up that great, unfortunately. 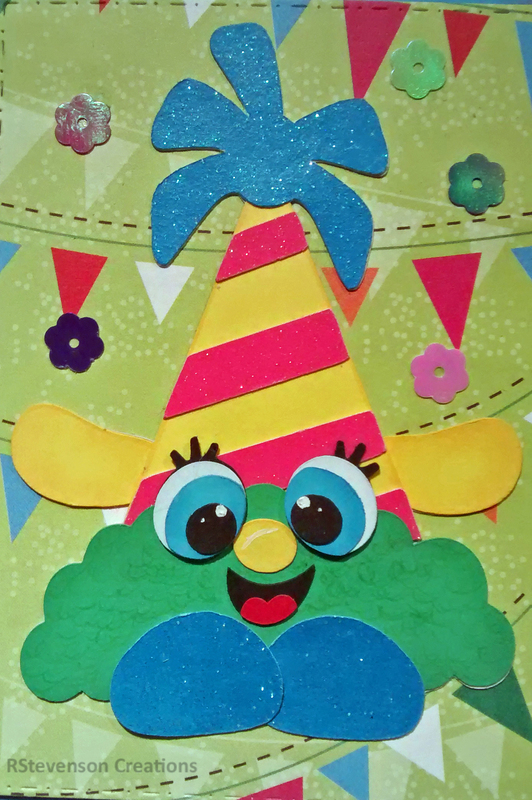 Back again to share a card that I made using one of last week’s Kadoodle Bug Designs Party freebies .svg’s called Party Hat Cutie by Melissa Deuss 2016. 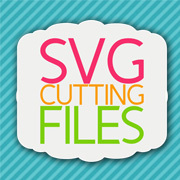 To make this I uploaded the image into Cricut Design Space and used my Cricut Explore to cut out the images. Inked around all of the edges and then ran the pieces through my Xyron’s. Makes it so much easier to put the pieces together. LOL! 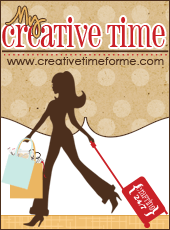 The background paper is Forever In Time Paper Craft Collection – Cupcake Craze, which I picked up from our local dollar store. I just love how it went with this card. 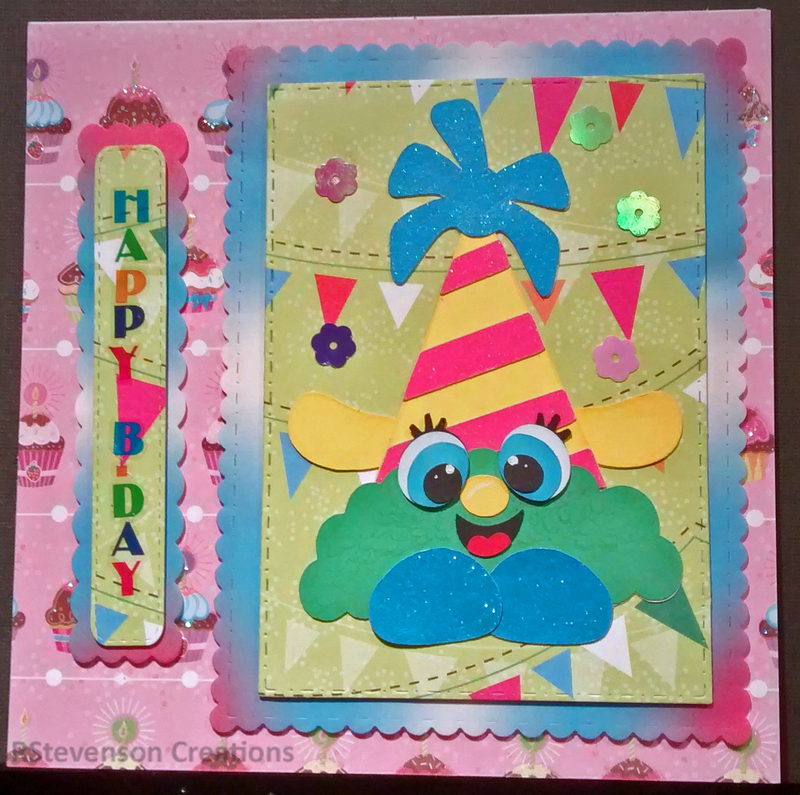 The lettering is from Forever in Time Scrapbook Collection – Sticker Trendz – SS460A. 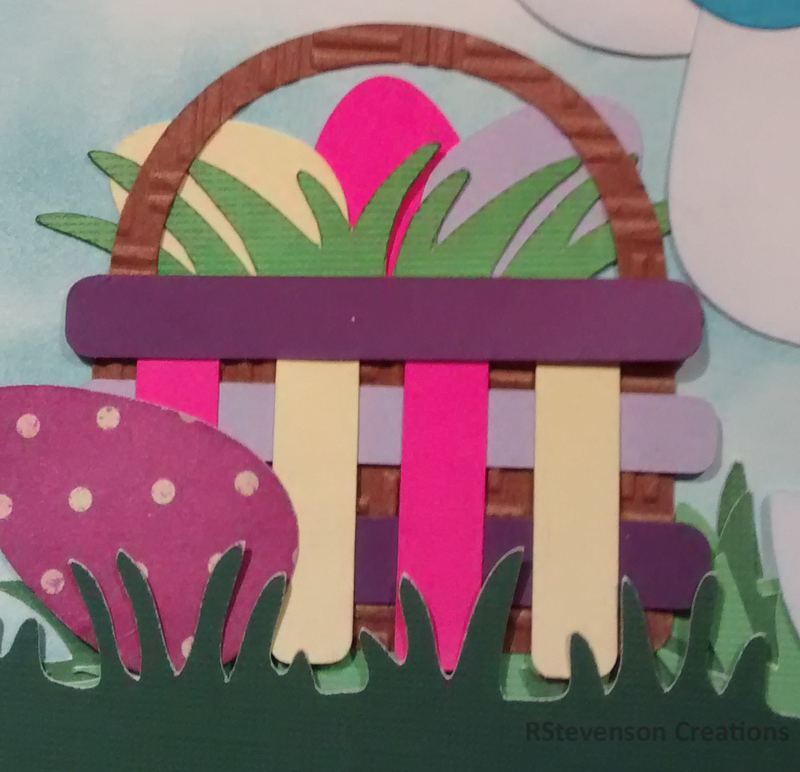 I cut out the borders with Craftin Desert Diva’s Fancy Frames. This has to be one of my favourite cutting die sets that I own. 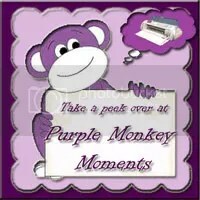 My Creative Time: Fun Vertical Greetings were used for the frames around the wording! I really love this set too! 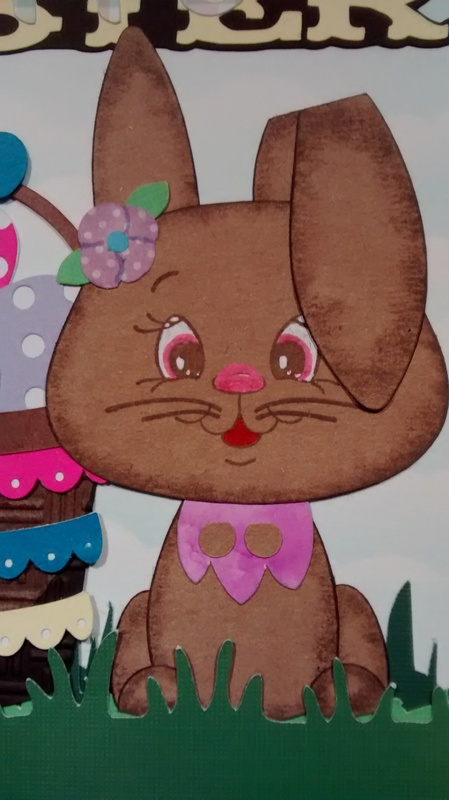 I dotted the eyes using Gelly Roll Sakura #8 Pen. Lastly, I added in a little bit of Craftin Desert Diva’s – Posies sequins.